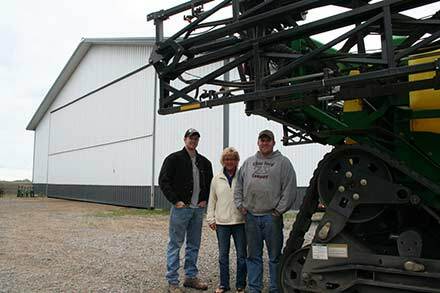 Jon and parents Jan and Jim Eiler make up the family-run business of Country Wide Lumber & Hardware in Hector. They've been at this location since 1993. 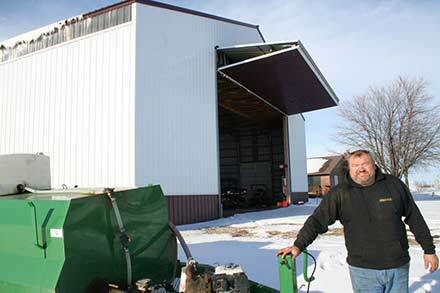 In smaller towns, such as Hector, MN, family-owned businesses are a big deal. Customers and repeat customers get to know and trust the owners and staff and feel comfortable knowing the business sees them as more than a number or a name. 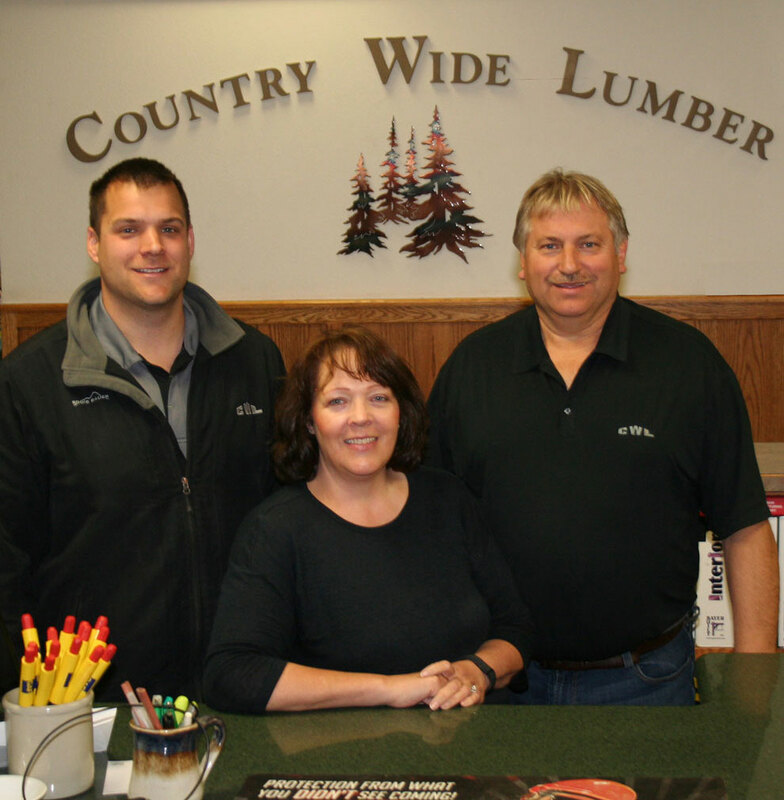 Jim and Jan Eiler, owners of Country Wide Lumber and Hardware, along with the rest of their staff are a prime example and have been so for nearly the past 25 years since they embedded themselves into the business community. 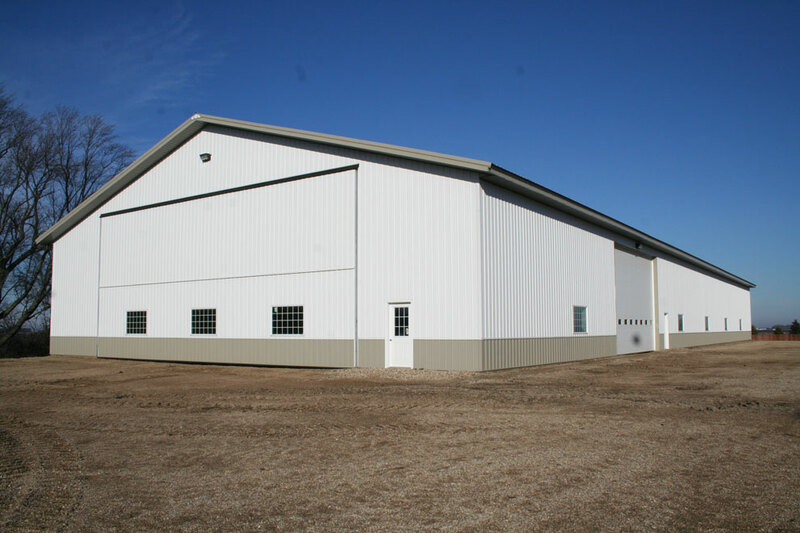 They have been dedicated to providing exceptional quality pole/post frame buildings, lumber, hardware and building materials at competitive prices. 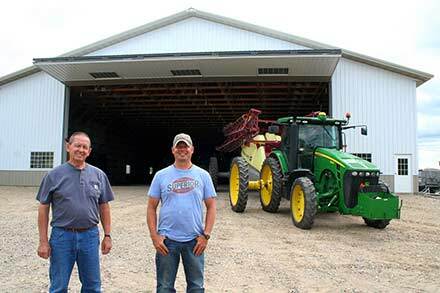 Their business and store has been an integral part of the economy, and they care about what's going on in the community and surrounding farm populace. "Sometimes it's a combination ... us recommending Schweiss and other times they automatically tell us they want Schweiss doors. Some will mention other doors and we try to sway them to go to Schweiss because they are local, they give good service, they stand behind their product and if you have problems, Schweiss is right here. 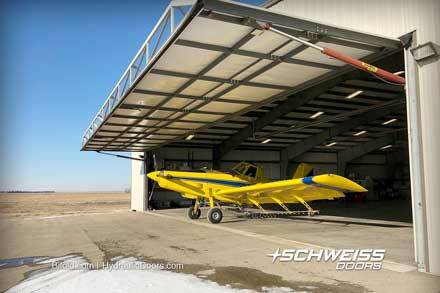 We'll often sell a shed with a Schweiss door on it, and have an overhead door on it. 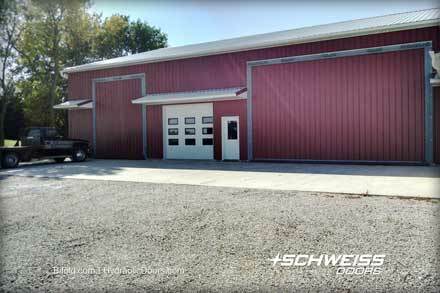 Generally when it comes to big doors and where headroom is needed, Schweiss is the door we recommend." 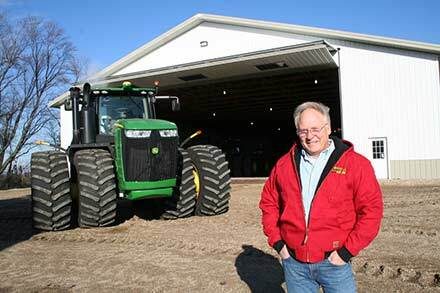 "We've been in business here in Hector since 1993," said Jim Eiler. 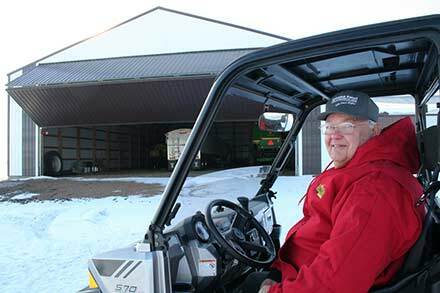 "Actually, I've been in the business longer than that; I started with Fullerton Lumber Co. in Bird Island in 1975. I was a manager in my hometown of Bird Island and then went into outside sales for four years out of their Gaylord and Bird Island locations. I've got over 40 years in the business. 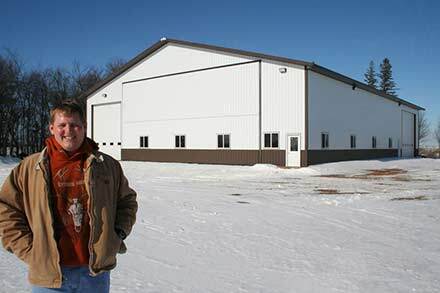 There was no lumberyard in this town at the time; we started it from scratch from an office in my home, then to my brother's farm where we stored lumber; all the while I kept selling, finally, we had to get a location. Hector and the surrounding area has been good for us. 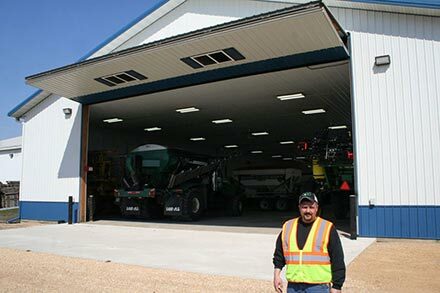 We now have six full-time employees and work daily and year-round with six to eight crews or more." 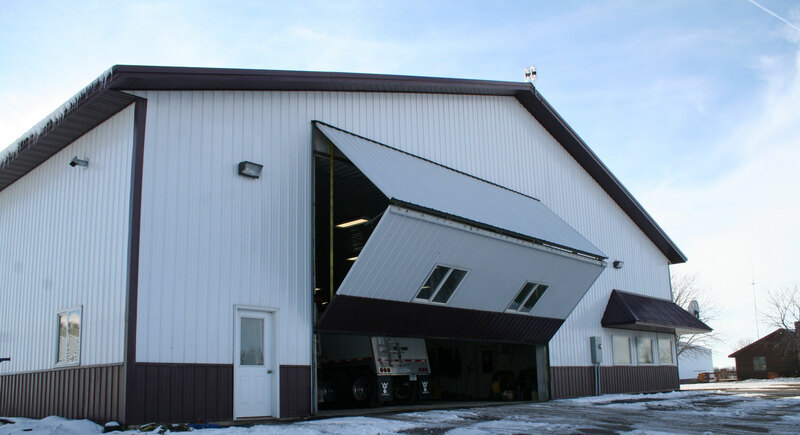 Chances are that if you see a Country Wide Lumber post frame building, it will often have a big Schweiss hydraulic or bifold liftstrap door on it. With numbers in the dozens, (too high to count) many of their post frame structures proudly stand on rural farmsites. 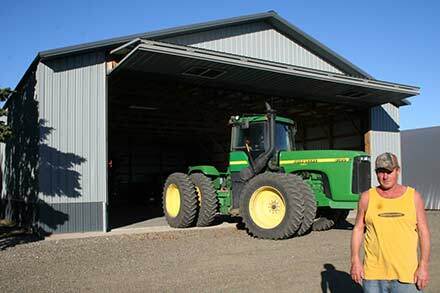 With farm implements continually getting bigger, these larger buildings call for muscular doors. That's where Schweiss Doors, manufacturer of quality hydraulic and bifold liftstrap doors, is the company their customers often go to. 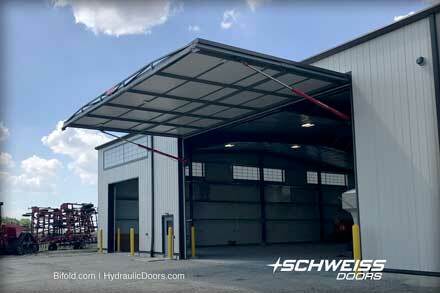 When it comes to hydraulic and bifold doors Country Wide Lumber highly recommends Schweiss Doors. 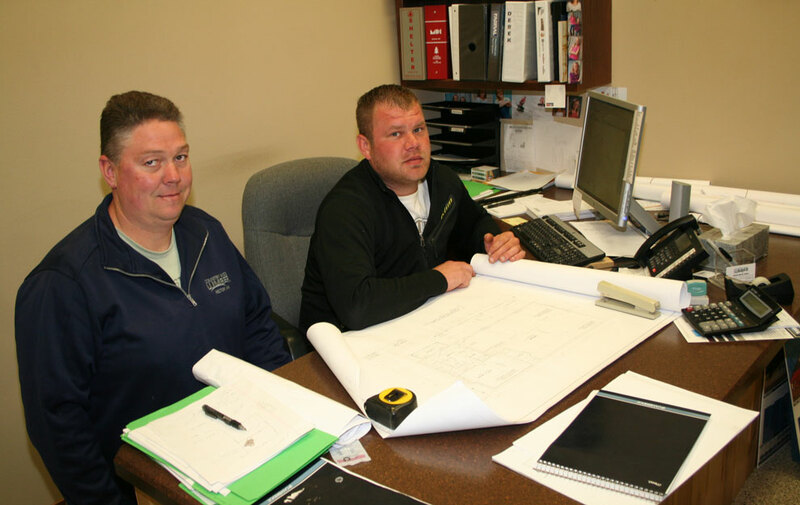 Paul Domeier, left, and Derek Borth, head up the sales staff at Country Wide Lumber. 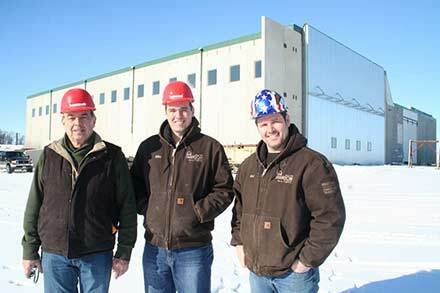 Eiler said that generally he and his staff are involved with coordinating the door purchase - calling Schweiss Doors for size, price, specs, getting the opening right and working closely with Schweiss and the customer. If the customer buys the door direct from Schweiss, Country Wide still calls to verify the correct door weight and specifications. They're in contact with just about every door that goes out. They want to get it right, that way they can size the pole and support structure correctly. 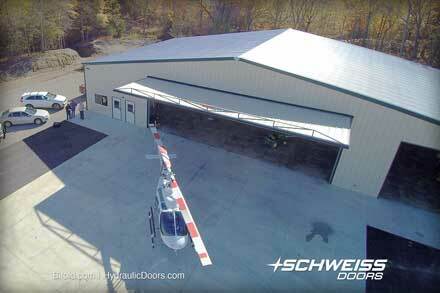 Most of the time Schweiss Doors does the door installations and Country Wide follows up with insulation and steel. 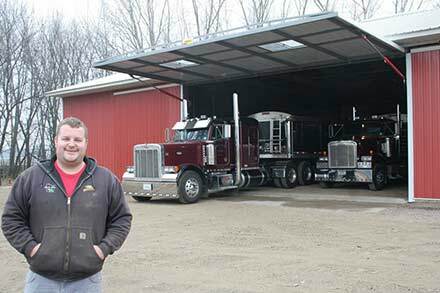 “I think as far as heaviness and build, Schweiss doors are the top of the line compared to others we've seen. Quality-wise it almost seems like an overkill. I can buy cheaper doors, but they aren't near the door; they don't compare. 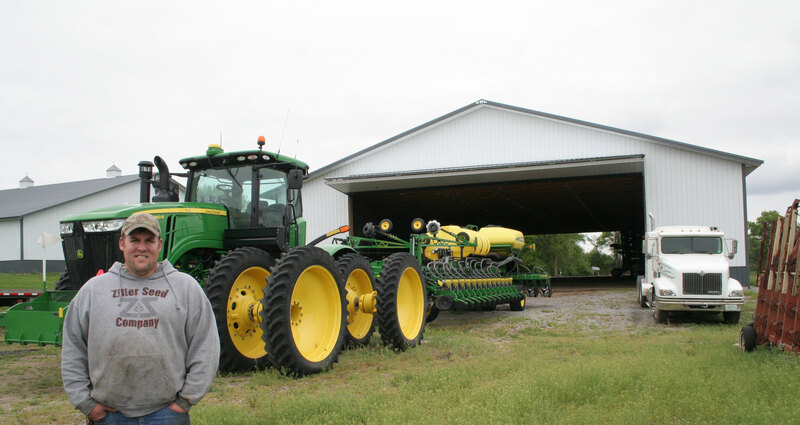 A farmer wants a good door. I think the straps vs. cables are the best. We sell a lot of autolatches and transmitters (remote openers). It's pretty slick and makes the door easy. When you try to build quality, like we are, it fits our shed. They are dependable doors. 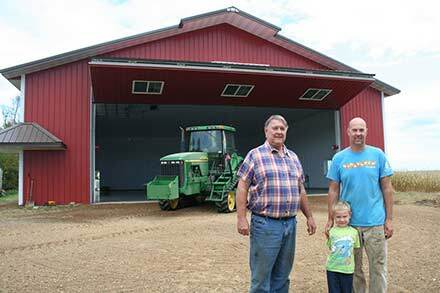 Once installed and we are on our way, we don't have to go back to them,” said Eiler. Country Wide Lumber & Hardware is located just off Main Street in Hector at 151 Birch Avenue. 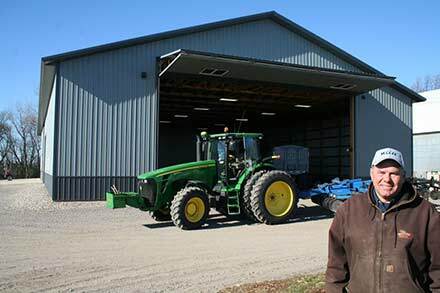 They have been serving the agricultural, commercial business community since 1993 and also build custom homes. 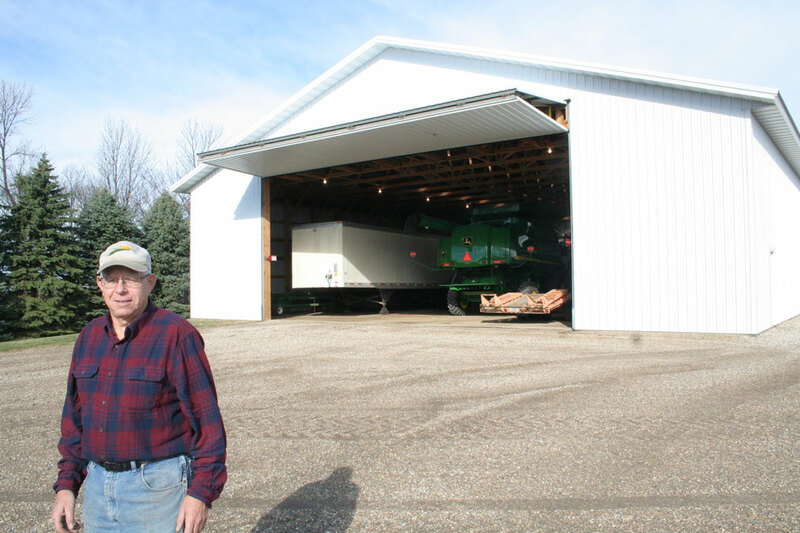 "Mike (Schweiss) and I always talk about the bracing of the door," said Eiler. Mike has told me the number one thing to remember is with the poles on each side; start with 'size' there. If you get that right, bracing is half the battle. If you have a small pole - then you need more bracing. We've learned that as a lesson, to always put the proper oversized pole on each side of the door. It all starts there, it doesn't flex, it's stronger." 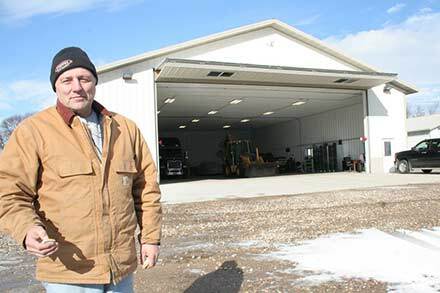 Eiler said from the point when a confirmed order is scheduled his crews can usually have a building completed in a month's time. He's done some as quick as a week and a half, depending on scheduling and where they go with it. They also do interior work on farm buildings. 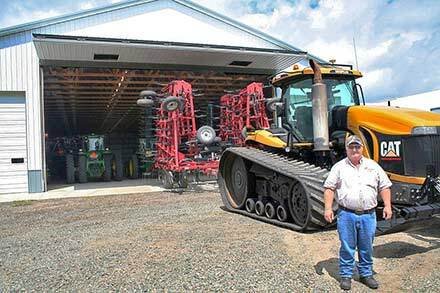 Some farmers have some pretty impressive finished shops. 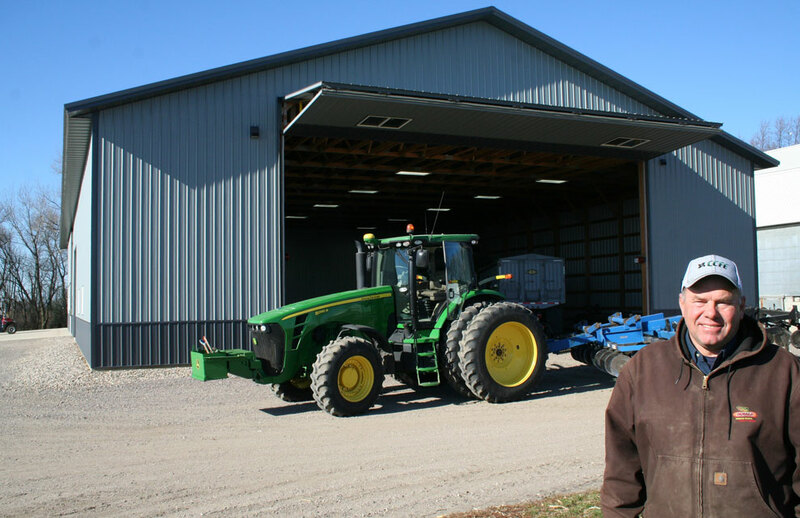 "Working with ag people and farm buildings is the biggest percentage of our business. We build houses, sheds, re-steeling and cladding; we do everything including light commercial. 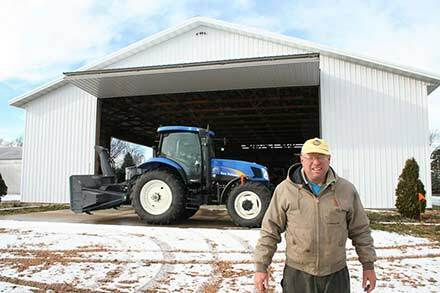 We still build three or four houses a year, and these houses are half a million and bigger; most of our work is farm-related," said Eiler. 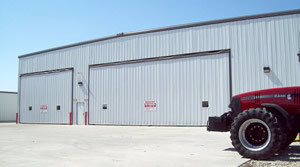 The post-frame ag CWL buildings vary in size from small to big. Eiler said there was a stretch of time where many were in the 80'x100' range but they've built them up to 240'. 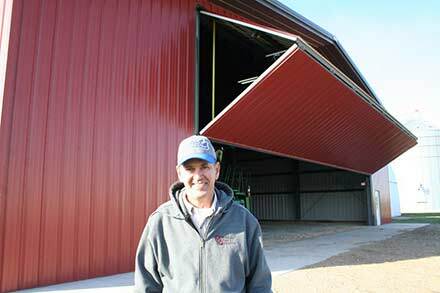 He's also built turkey buildings 500' to 600' in length. 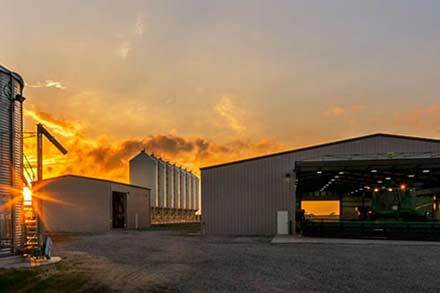 "CWL (Country Wide Lumber) is our own brand and the concept is our own design and we have learned from what we've done, using our building materials. 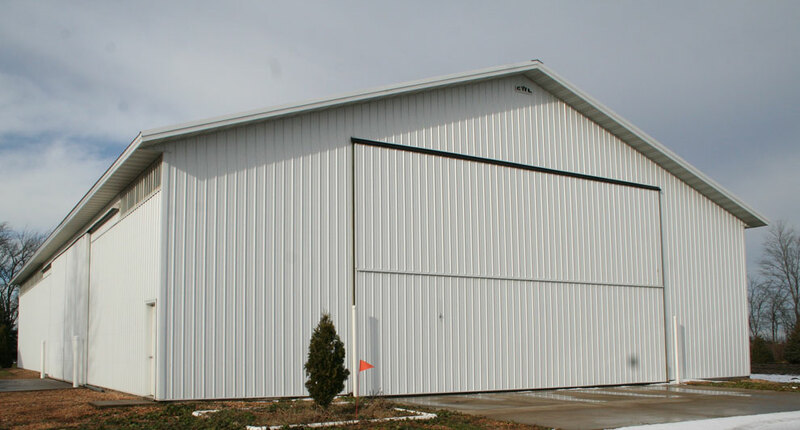 They are wood structure steel buildings, we don't do all-steel buildings, we're pretty much the post-frame type. We get the work structurally engineered. What makes CWL buildings stand out from all the rest? 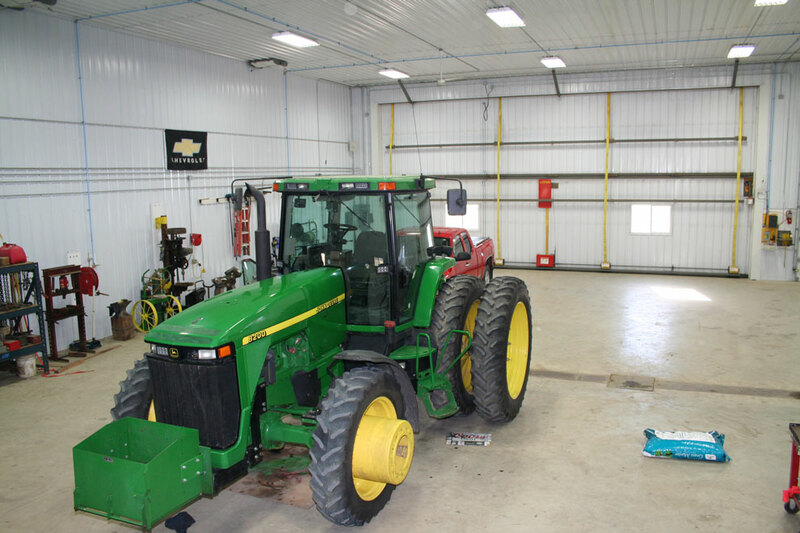 "It's probably a combination of workmanship, materials, competitive pricing and service before and after the sale. I think pretty much not cutting corners is one of them. We don't want to degrade our sheds. The customers are loyal here and we build on their trust too. 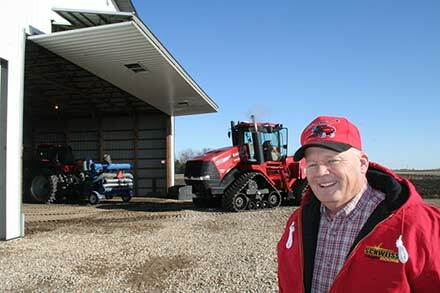 We try to make it a one-stop shop," noted Eiler. 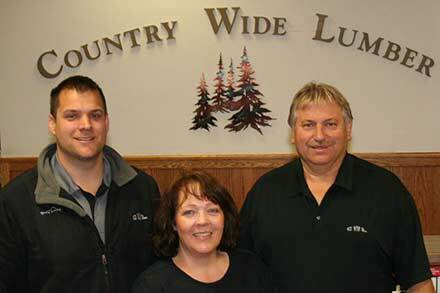 Country Wide Lumber has four pole/post frame building specialists on staff. Jim's wife, Jan, specializes in cabinets, colors, decorating and as Jim says; keeping the guys straight. Their son, Jon, 29, is in sales and does bookwork and accounting. 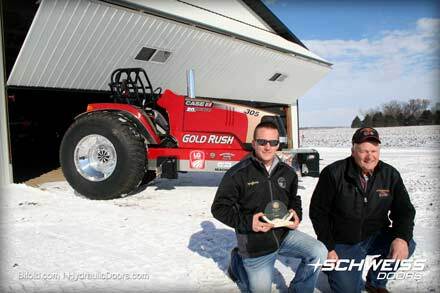 Paul Domeier and Derek Borth head up the sales department. 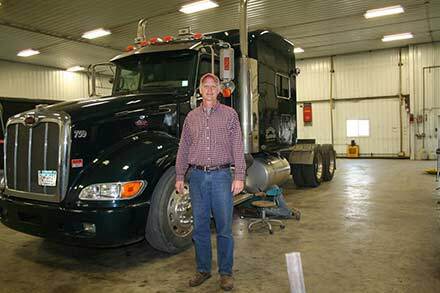 Domeier, who is Jim's go-to guy has been with the company dating back to the very early years. 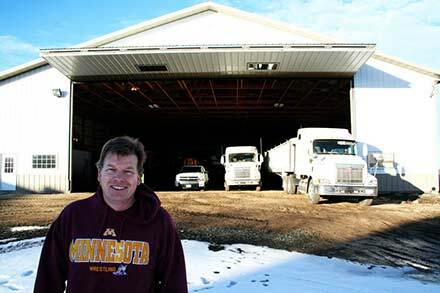 Jon Olson runs the delivery and back lumberyard area. Country Wide Lumber opened up a hardware store within their office building about a year ago. Something the community was in dire need of since the previous hardware store closed. They are a Do it Best brand hardware store. They are building on that every day, trying to stock the basic needs for people in the community. As with most small-town businesses, Country Wide is always giving back to the community, especially for local causes and donations for the schools. "We want to continue to improve and grow and we always look for improvements in our buildings. There is stuff coming out along with the Perma-Cast columns in the ground to putting poles in the ground. We want to stay up with the times and give the farmers what they want. We strive to be the best and ensure that our customers get only the best. 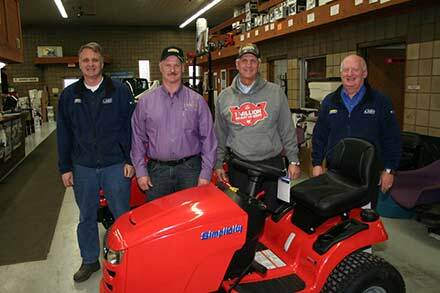 We are proud to be a "hometown building center," noted Eiler. 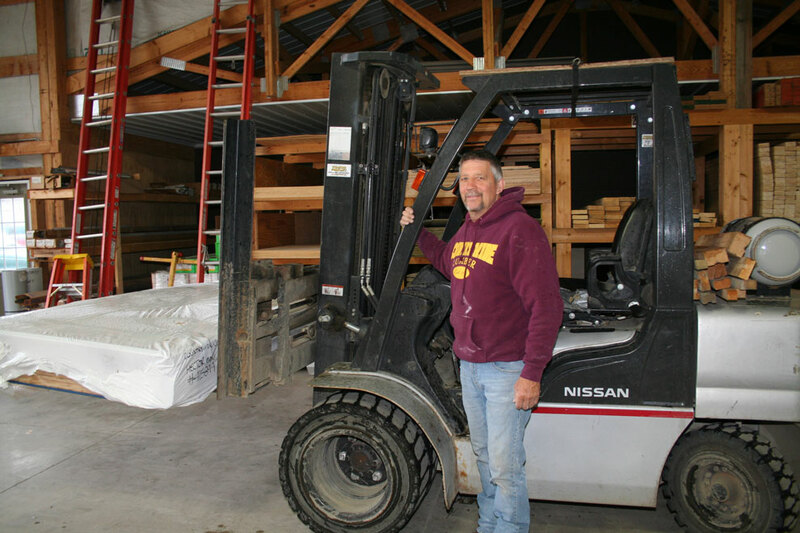 Jon Olson is the Yard Supervisor at Country Wide Lumber. 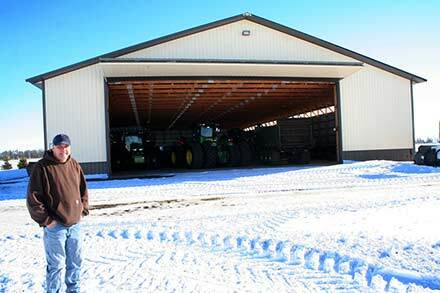 Country Wide Lumber builds all types of agricultural structures with the expertise to help you find the perfect pole shed, garage, deck, or home improvement and supplies you've been looking for. 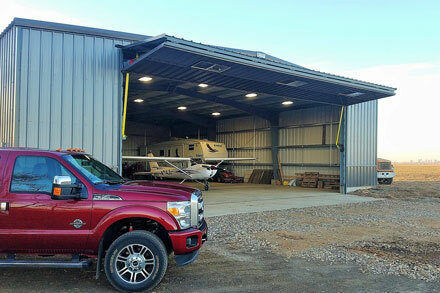 They have built post frame structures for storage, animal confinement, garages, office spaces, retail space, truck storage, assembly buildings, and even homes. They offer a wide array of name-brand products and services for home / new home construction, roofing, decks, windows, concrete, excavating, tile work, sheetrock, garage, cabinetry, custom wood, stairs, interior millwork / moulding, lumber, hardware, contractor needs and much more. Their highly skilled and trained staff will listen to your ideas, offer professional insight with suggestions and come up with a wonderful design that blends with your lifestyle and adds maximum value to your home or building. 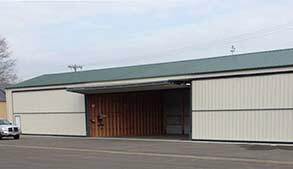 72' x 84' Cold storage area with 40' x 20' Bifold door. 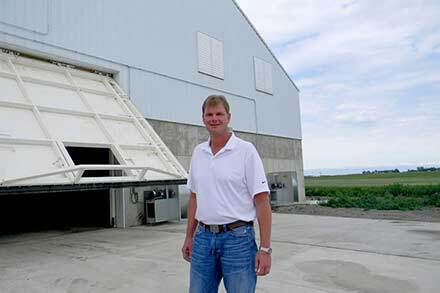 80' x 204' Cold Storage with 50' x 19' Bifold door. 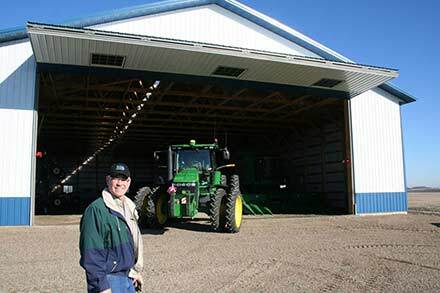 72' x 120' Machine shed with 48' x 20' & 40' x 17.6 Bifold doors. 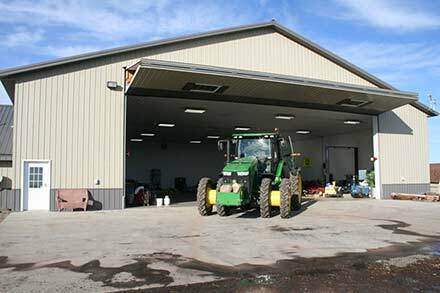 80' x 120' Farm Shop & Office with 29' 9" x17' 6" Bifold door. 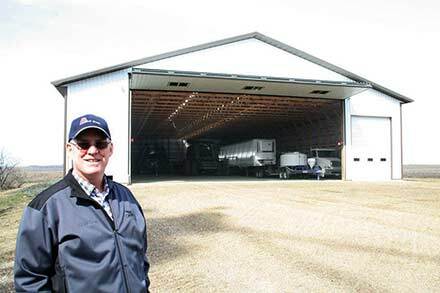 80' x 108' Farm storage building with 48' x 20' Bifold door. 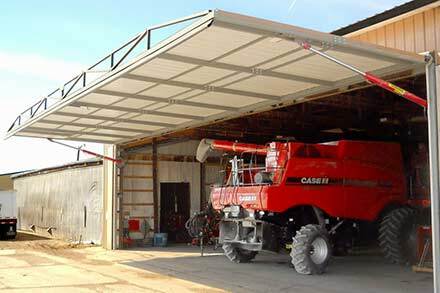 60' x 96' Machine shed with 46' x 18' Bifold Door. 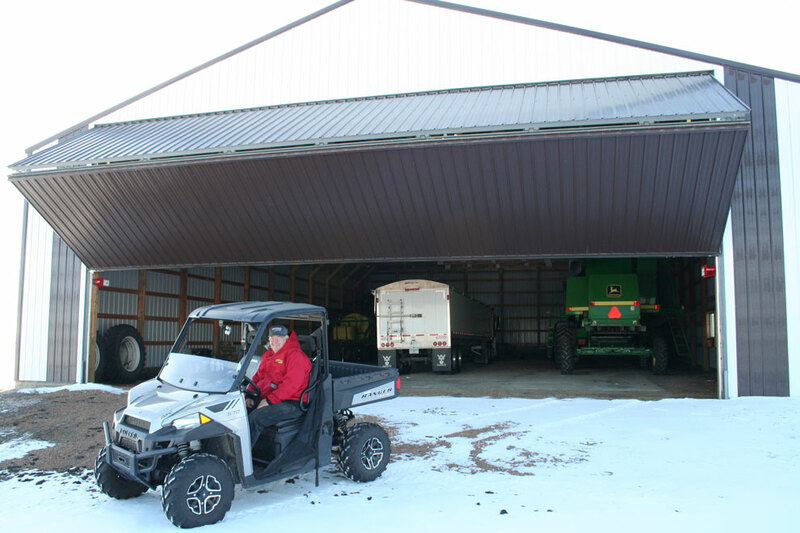 70' x 84' Farm storage shed with 40' x 18' Bifold door. 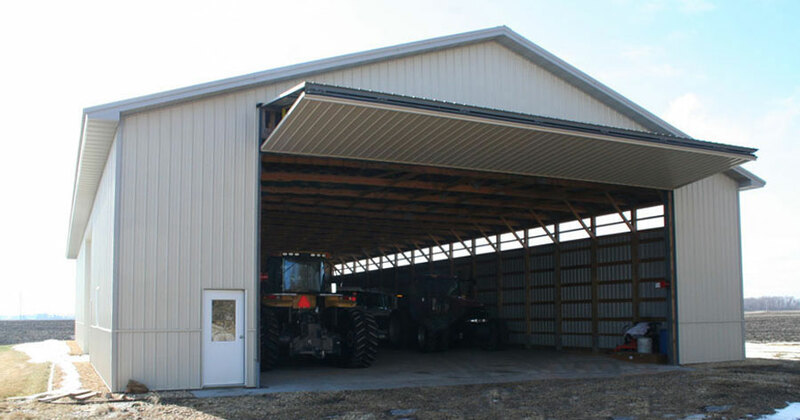 120' x 66' Pole Barn with 40' x 18' Bifold door. 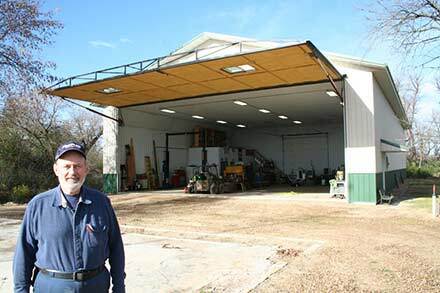 60' x 120' Pole Building with 40' x 18' Bifold door. 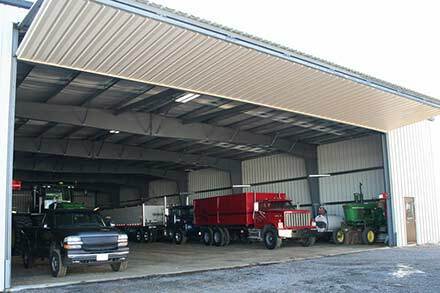 72' x 144' Pole building with 40' x 17' 5" hydraulic door. 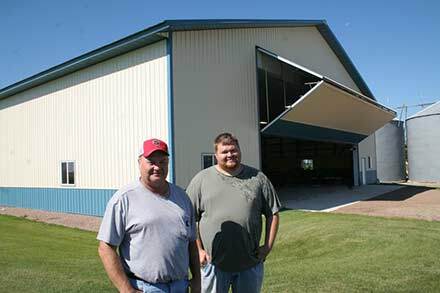 80' x 175' Pole building with two 50' x 18' bifold doors.